Evaluating the risk level that is suitable for an investor (i.e., ensuring that an investor is ready to take a certain risk and that this risk is not dangerous for the investor’s savings) is crucial for providing suitable investment advice. Financial digital and human advisors use questionnaires to learn about investors’ objectives and time horizons, current financial circumstances, investment experience, and risk tolerance. In the “Portfolio Management Component” chapter we discussed some of the issues related to building questionnaires. Here, we are going to look in detail at how investors’ responses may be analyzed to create accurate investor risk profiles. Questions in the questionnaire may be divided into groups, each of which covers a particular parameter of investor profile, such as time horizon, risk tolerance, risk capacity, investment goals, etc. Once the investor has filled out the questionnaire, their responses are scored and then summed or averaged within each group to receive final ratings for the parameters mentioned above. According to the risk rating scores obtained, the investor’s profile is categorized based on their advisor’s expertise or generally accepted principles. The investor’s risk capacity is lower than their risk tolerance. This means that the level of losses that the investor feels they would be able to withstand is greater than their ability to absorb that loss without affecting their goals. In this case, the investor should be warned and given the chance to change their responses, or a lower parameter may be used. Responses in the investor’s questionnaire are contradictory or inconsistent. Reconciling or averaging responses in this case may yield a portfolio that does not reflect the investor’s risk tolerance. This may be resolved by asking additional questions. Investing may turn out to be an inappropriate option for the investor. For example, the size of the investor’s savings and monthly net income may be less than the investable limit set by the financial advisor. The investor should be urged to maintain sufficient savings; however, to avoid losing them as a client and to help them deal with their financial situation, the financial advisory platform may be able to offer other services, such as financial planning or micro-investing. More information about integrations are provided in the “Custodian & Brokerage API Integrations” chapter. If the investor has investment experience, they may be asked additional questions. For example, investors may be asked about their actions in various past situations, such as investment losses. Visualization may be offered to help the investor understand the situation and define their attitude. For example, a slider bar may help them to adjust their willingness to withstand losses and see how such losses may affect their goals. The investor may be offered a variety of hypothetical scenarios. The combination of answers selected may allow the financial advisory platform to obtain a more accurate risk tolerance score. In most cases, risk questionnaires don’t reflect investors’ actual behavior, especially in the case of experiencing unknown risks. However, understanding how investors may behave in particular situations makes it possible to adapt to these behaviors to improve investment outcomes. Investors’ behaviors may be affected by their previous experience and individual beliefs; thus, risk may be perceived by different investors to be less or more significant. Identify whether the investor is active or passive—whether they have put their capital at risk to build wealth. Complete a risk tolerance questionnaire to identify the behavioral investor type category that best suits the investor. 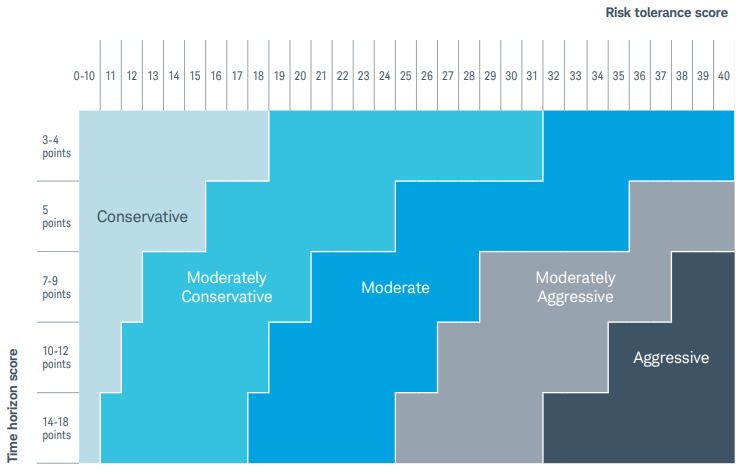 Passive investors may be categorized as either conservative or moderate, while active investors may be in either the growth or aggressive category. The preserver emphasizes financial security and preserving wealth; they are obsessed with short-term performance and feel uncomfortable with change and uncertainty. The follower doesn’t have a particular opinion about investing, but tends to follow others in making investment decisions and prefers to choose the most popular investments, often without having a long-term plan. The independent investor is a strong-willed thinker who is self-assured when making investment decisions. This investor bases their views on own research, but may resist following a financial plan. The accumulator is often even more strong-willed and confident in business activities and investing. They make quick decisions and often change their portfolio as market conditions change. Identifying the behavioral investor type can help financial advisors tailor their advice to the particular investor. A common problem for human and digital financial advisors is that for the majority of individual investors it is difficult to judge how they might behave in critical situations. Below, we have provided a brief review of several popular platforms that offer risk profiling services. 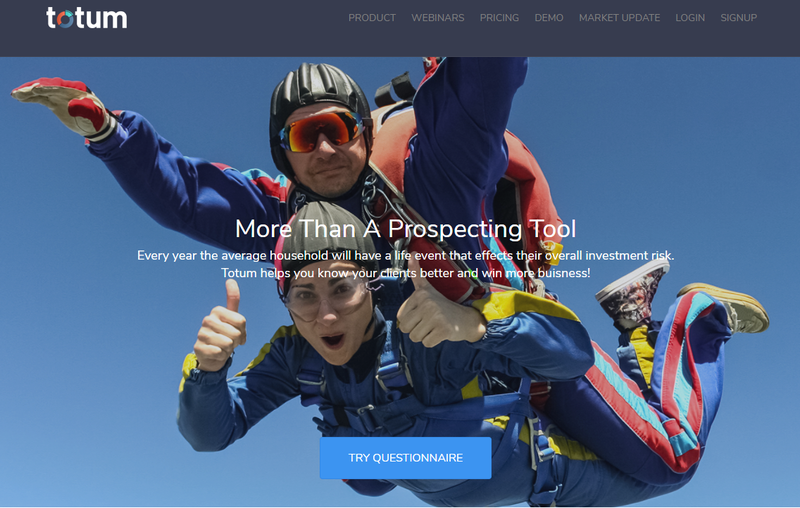 The Riskalyze platform objectively pinpoints the investor’s risk tolerance. Its algorithm uses principles of behavioral economics and is based on Prospect Theory, which won the Nobel Prize for Economics in 2002. Its Simple Questionnaire is for investors who are elderly, not computer literate, or just don’t think in detail. Its Detailed Questionnaire is highly analytical and quantifies risk tolerance with a high degree of mathematical certainty. Its Risk Targets are for advisors who know their clients well enough to not go through the risk questionnaire process. A Riskalyze Pro subscription costs $165 per month/user if paid monthly, or $145 per month/user if paid annually. A Riskalyze Premier subscription costs $265 per month/user if paid monthly or $245 per month/user if paid annually. 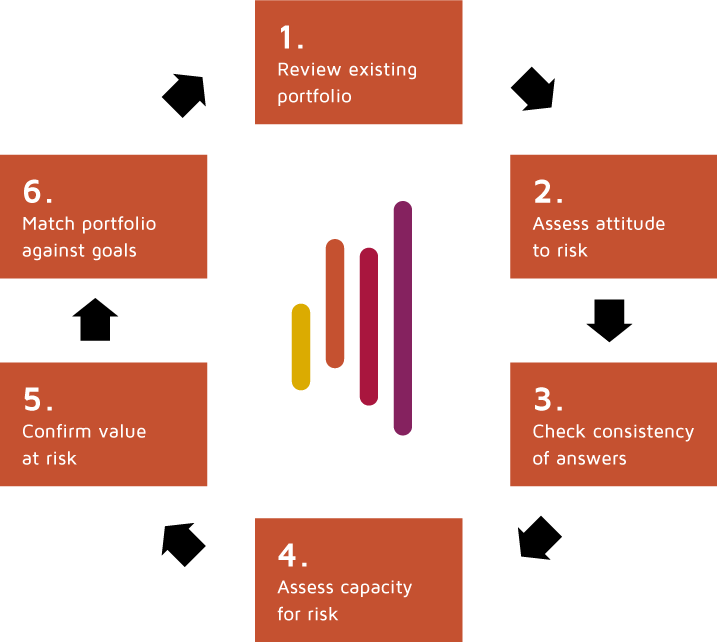 FinaMetrica provides a Risk Tolerance Toolkit based on expertise from the London School of Economics. The toolkit allows financial advisors to create a psychometric risk tolerance profile for individual investors, which helps them get to know themselves better and identify their comfort zones regarding risk. Pricing: Individual investors pay $45 for one-off risk profiling. Financial advisors may subscribe to the FinaMetrica Risk Profiling Toolkit™ for $990 per year. Discounts may be given to alliance partners and for two- and three-year subscriptions. 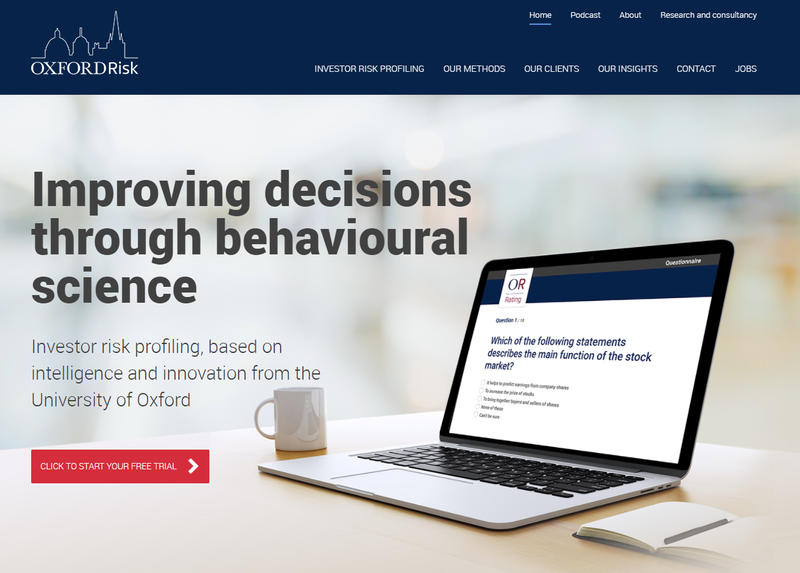 Oxford Risk offers an investor risk profiling solution created by three academics from the University of Oxford: Professor Lord Krebs Kt FRS; Professor Alex Kacelnik, FRS, and Dr. Ed Mitchell. The solution is based on several of their research papers in behavioral economics, risk psychology, and decision-making. Using psychometric questions, the solution defines the investor’s attraction to risk, aversion to loss, and short-term anxiety, thus enabling an optimal investment strategy to be calculated for that investor. 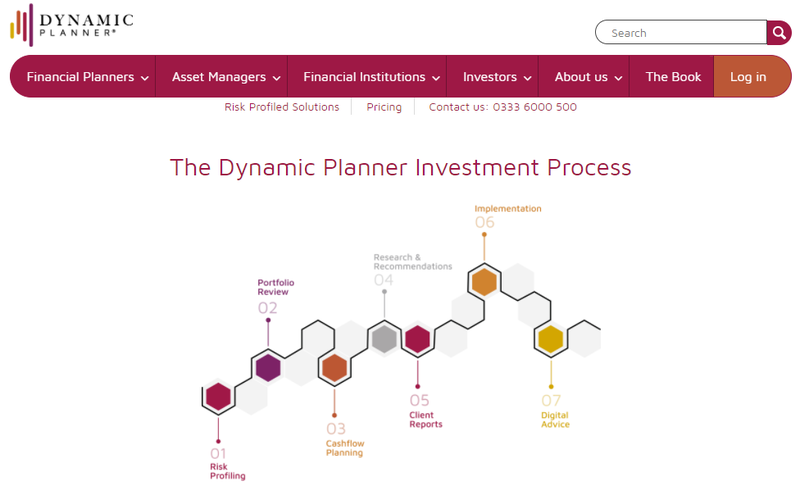 Dynamic Planner Risk Profiler, Plan & Manage for £97 (+ VAT) per month. Totum scores the investor’s risk capacity and risk preferences along with the portfolio to accurately derive an appropriate investment portfolio. The company offers 12 questions based on academic quantitative models that flow through its algorithm and provide the advisor with a compliance score. The questionnaire may be extended using the advisor’s own questions. 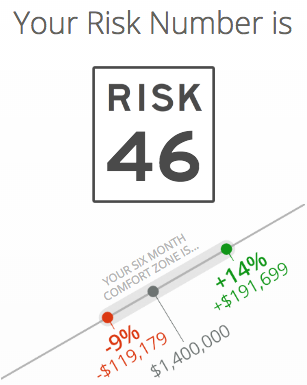 This risk score allows the advisor to apply a customized portfolio to match it. Pricing: For financial advisors, a monthly subscription costs $79 per month/user, while a yearly subscription costs $700 per year/user. Risk profiling is the first important step in determining an investment allocation that will be appropriate for each particular investor. However, due to human nature, people have a tendency to incorrectly assess themselves and their attitude to risks, losses, and even unsatisfied expectations. Risk profiling may be limited to identifying the investor’s age and goals. Poor risk profiling may lead to improper portfolio allocation and risks that are not only uncomfortable to the investor, but also difficult to withstand. This is why risk profiling platforms use principles of behavioral economics, risk psychology, and artificial intelligence to help investors understand themselves and take accepted risks compensated by reasonable returns. We are starting a new series of articles called “WealthTech Cookbook” in which we intend to discuss all the main components of wealth management software platforms, including digital and robo-advisors.